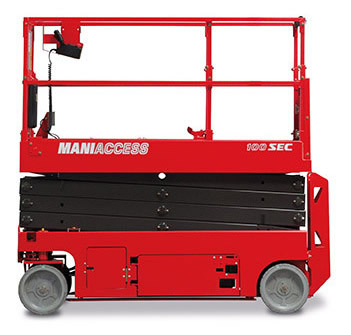 The 100 SEC electric scissor platform, with a capacity of 227 kg, is perfectly suited to crowded working areas. Passing through doors or the use of goods lifts or lifts becomes easy thanks to the foldable rails. 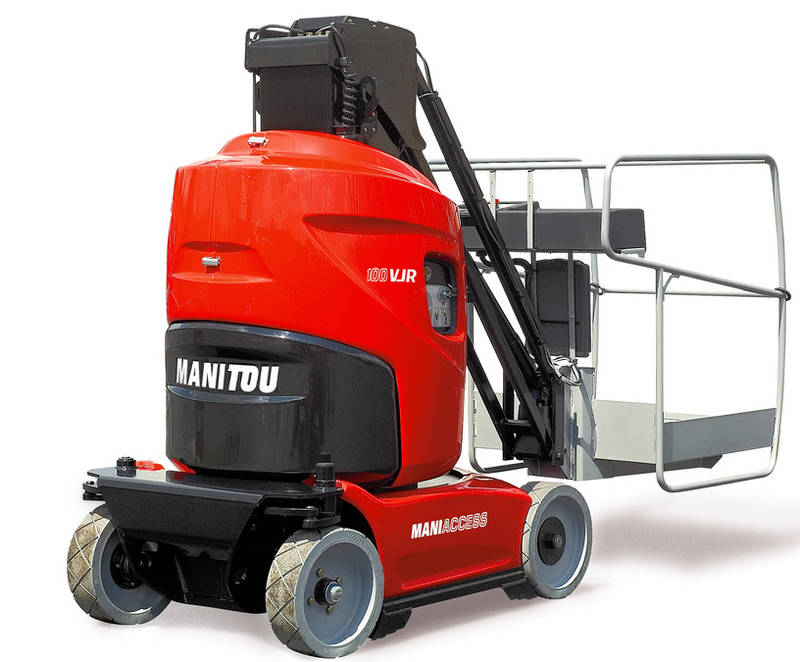 Its double scissor technology with reinforced arms guarantees optimal stability during your operations at 9.92 m from the ground.